Home / Technology / Samsung unveils its new smartphone. Mixed reactions coming from consumers? Samsung unveils its new smartphone. Mixed reactions coming from consumers? Samsung ditches plastic materials, expandable memory and removable battery. How the consumer reacts to this? 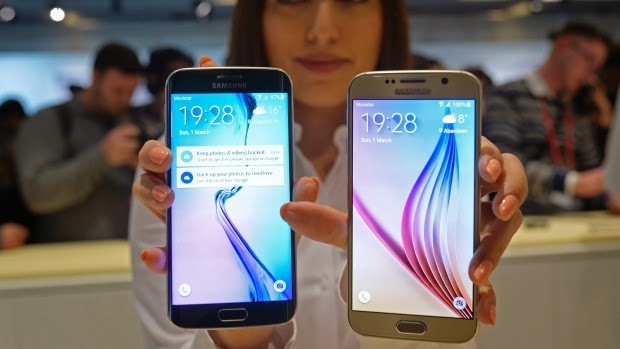 Last Sunday, at the Mobile World Congress in Barcelona Spain, Samsung launches it new flagship phone. Instead of using plastic as their primary material, they utilize a full metal bodies for their Samsung Galaxy S6 and Galaxy Edge smartphones. Samsung also announce that it will be available in 20 countries by April 10 but the price is still unknown. The specifications of S6 are 5.1 front screen, they will run on a ARM 64-bit chip and running on Google's latest Android Lollipop OS. The camera has 16 megapixels which includes a "bright" lens for nighttime shots. Both of the models are available in gold, white and black. The consumer can choose from 32, 64 and 128 gigabyte capacity. Other color options are in blue for S6 and green for S6 Edge. Samsung also added wireless charging where the users can watch a 2 hours video from 10 minutes of charging. However, there are some mixed reactions from various consumers. They are having second thoughts in buying this new smartphone because the expandable memory and removable battery features are missing on their new models.